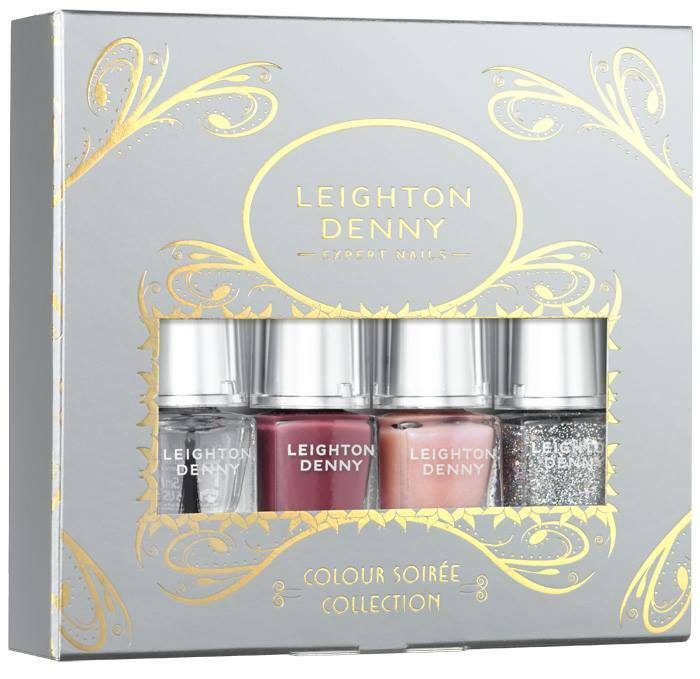 Meet your match this Christmas with Leighton Denny Expert Nails Express yourself in glamorous colours of your choice, wear it with confidence and boldly own it. Define and create your own type of femininity with a brighter shade of you. 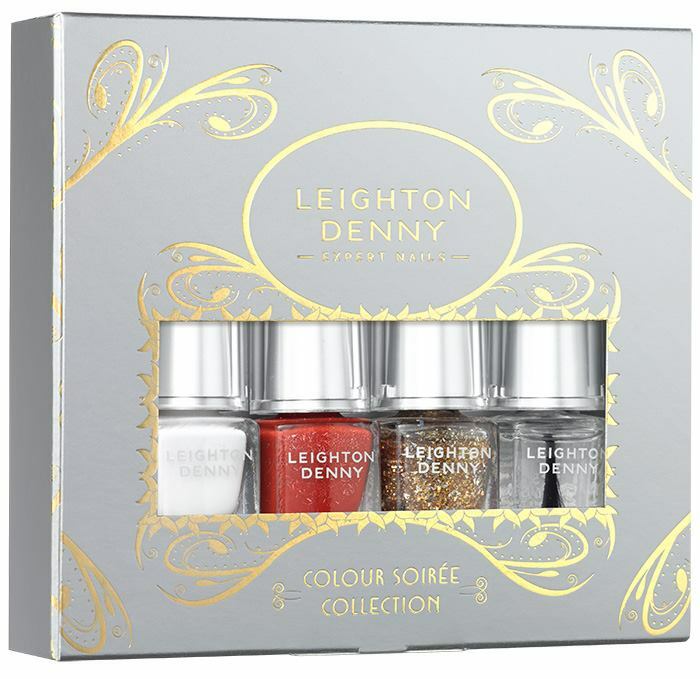 Celebrate colour and the quality of being female with colours that are expertly matched together to keep your nails looking elegant and illuminated this festive season. Double Up 5ml: A one stop nail product that protects against staining and gives a glossy professional look. Crushed Grape 5ml: Crushed cream purple, a fantastic colour night or day! Butterfly Wings 5ml: A sheer peach with an iridescent shimmer. Twinkle Twinkle 5ml: An amazing silvery mix of fine and large holographic glitter particles with a clear base. Easy Peel 5ml: A NEW peel off base coat to use with glitters & dark pigment colours for a fuss-free removal without staining the nail. Story Telling 5ml: Festive red infused with fine holographic flakes. Avalanche Of Love 5ml: Slide to love with this glimmering gold nail polish infused with holographic foil pieces. In the Gloss 5ml: Our first plumping top coat which gives a super high gloss, gel-like finish to create long lasting, resistant nails.